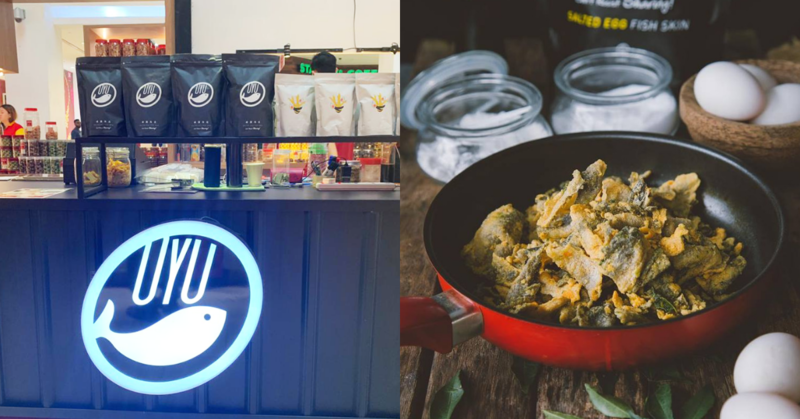 OyuFish is a Malaysian snack brand known for their salted egg fish skin snacks. Their snacks are available in supermarkets nationwide and they’ve sold over 256,000 packets since their launch. OyuFish was founded in August 2017 by three friends—Mak, Pang and Wong who have an average age of 23 years old. There are plenty of salted egg snack brands to choose from on the market, but the three young founders kept things simple from the beginning. “Our goal is simple. We want to bring and share the surprise and happiness to everyone and we want whoever who tastes our snacks to share it with their friends,” said one of the three co-founders, Mak. With that goal, they branded OyuFish with the tagline #CantResistSharing, which is present on all of their salted egg snack packets. A 180 g bag of their salted egg fish skin retails at RM28, and a 150 g bag of their salted egg French fries costs RM23. 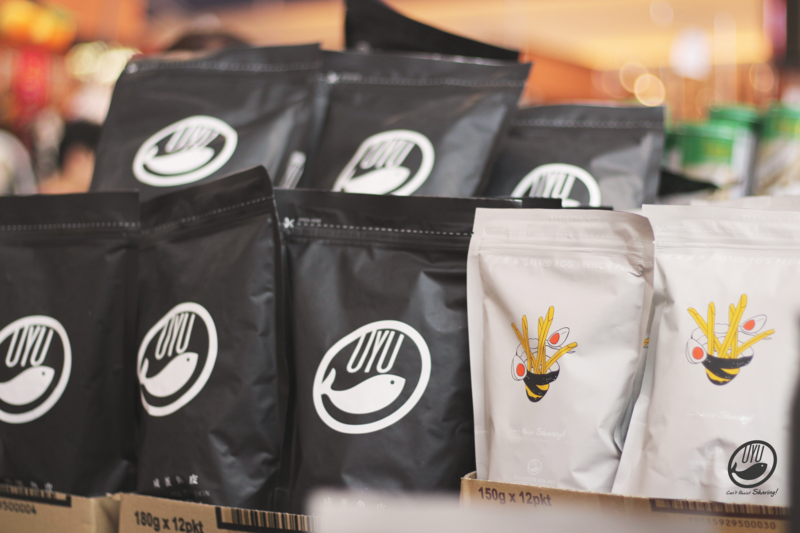 OyuFish first began as an online store and it was only when they started participating in food events around the country that they began to gain brand exposure in the market. From then on, OyuFish has grown to have a presence in multiple supermarkets nationwide including Village Grocer, Jaya Grocer, Cold Storage, Hero Market, Ben’s Independent Grocer, Mix.com.my and also Aeon retail outlets. 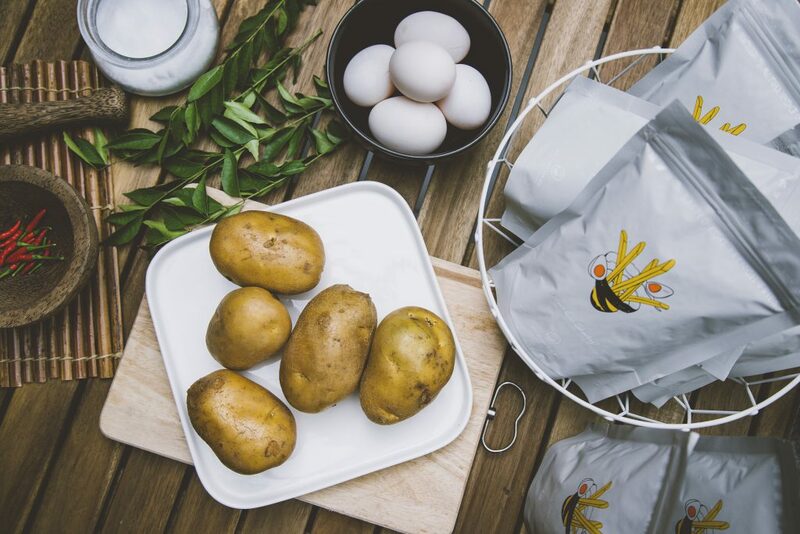 “The reason behind how we managed to get into those grocery stores is because we worked with a few distributors and we appreciate that they gave us the chance to bring our products and introduce us to the market,” said Pang. Their products are not only available in Malaysia but also Singapore, Thailand, Taiwan and Hong Kong. When they started, their business model was based online, however nowadays most of their sales comes from offline channels. From their perspective, traditional retail channels are still dominating in Malaysia and Singapore. OyuFish sources their raw materials from different countries around the world, and they have to work to ensure that their products adhere to a high level of product safety and quality. “[The] supply chain is the key as the suppliers we work with are regularly audited and raw materials are tested on a frequent basis to ensure they continue to meet these criteria,” explained Wong. Another goal they want to keep hitting is consistency. According to Wong, as manufacturers themselves, OyuFish works to continously improve their product quality and ensure that their products conform to statutory, regulatory and food safety requirements of their customers. “We also constantly invite consultants and experts from difference industries to gain more feedback or advise from them,” added Wong. Since they were established, they’ve sold over 256,000 packets of salted egg yolk snacks. One word that they always get from reviews is “addictive”. The OyuFish team takes pride in that and are very happy when receiving positive feedback from customers. “Moreover, foreigners always bring our products back from Malaysia as souvenirs and share with their friends and family,” added Mak, speaking about their accomplishments. As of now, the team is preparing to export their products to more countries and hopes that it can become an international brand that every Malaysian can be proud of. To Mak, they’re still small compared to conglomerates like Nestlé or Coca-Cola. To diversify from their current product range of Salted Egg Fish Skin and Salted Egg French Fries, OyuFish will be introducing their latest addition of snacks called Ma La Fish Skin (ma la is an oily, spicy, and numbing Chinese sauce which consists of Sichuanese peppercorn). “Growing from a small brand, we want OyuFish to become a souvenir that everyone will take home when they visit Malaysia,” said Mak. If you would like to find out more about OyuFish, you can check out their social media here and website here.